A new combination of immunotherapy and chemotherapy for pancreatic cancer caused tumors to shrink in the majority of evaluable patients, namely 20 out of 24 as of an interim analysis of the phase 1b trial data. The early findings provide hope that this strategy involving an antibody to CD40, a checkpoint inhibitor, and standard-of-care chemotherapy could be effective for treating the nation's third deadliest type of cancer. Researchers from the Abramson Cancer Center at the University of Pennsylvania (Penn) presented the findings on March 31, 2019 in a clinical trials plenary session at the American Association for Cancer Research 2019 Annual Meeting in Atlanta, Georgia (Abstract #8060). The title of the presentation is “A Phase Ib Study of CD40 Agonistic Monoclonal Antibody APX005M Together with Gemcitabine (Gem) and Nab-Paclitaxel (NP) with or without Nivolumab (Nivo) in Untreated Metastatic Ductal Pancreatic Adenocarcinoma (PDAC) Patients.” The ongoing study is being conducted in collaboration with the Parker Institute for Cancer Immunotherapy (where/what) and its other member institutions and partners. These are the first clinical trial data ever presented as a result of this collaboration. "These findings give us clues that this new and innovative combination therapy can be effective against pancreatic cancer," said the study's co-lead author Mark H. O'Hara, MD, an Assistant Professor of Hematology-Oncology at Penn, who gave the presentation. "Although only time and further research will truly tell, our data are a reason for optimism." Pancreatic ductal adenocarcinoma (PDAC) is the most common type of pancreatic cancer, and it kills more Americans each year than any cancer type other than lung and colorectal. Glioblastoma is the most aggressive type of primary brain cancer, one with a prognosis of 11-15 months with standard treatment. Results from a phase 1b clinical trial of a new experimental glioblastoma vaccine developed by Jefferson Health (https://www.jeffersonhealth.org) and Imvax (https://www.imvax.com/), both in Philadelphia, Pennsylvania, show the experimental treatment was tolerated well by patients, slowed tumor recurrence, and prolonged patient survival. The research was presented at an oral session (https://www.abstractsonline.com/pp8/#!/6812/presentation/9839)of the American Association for Cancer Research (AACR) 2019 annual meeting on March 31, 2019 in Atlanta, Georgia. The presentation was titled "Results of a Phase Ib Trial of an Autologous Cell Vaccine for Newly Diagnosed Glioblastoma." Researchers treated 33 patients with newly diagnosed glioblastoma multiforme (GBM) with the novel cancer vaccine (IGV-001) in a prospective phase 1b clinical study and compared outcomes to a historical comparator group of 35 patients treated with standard of care at the same institution. The results showed that patients treated with the vaccine had improved progression-free survival and overall survival compared to the control group treated with standard of care alone. "The response we see in some patients is very encouraging," says David Andrews (https://hospitals.jefferson.edu/find-a-doctor/a/andrews-david-w.html), MD, Professor of Neurosurgery at the Vickie & Jack Farber Institute for Neuroscience -- Jefferson Health (https://hospitals.jefferson.edu/departments-and-services/vickie-and-jack...) and Co-Founder, Chief Medical Officer, and interim Chief Executive Officer of Imvax. Population of Potentially Dangerous, Invasive Tick (Asian Long-Horned) on New York’s Staten Island Much Larger Than Previously Thought—New Findings Suggest That “Emphasis on Urban Wildlife Corridors Has Previously Unappreciated Downside for Human Health"
Residents of New York’s Staten Island have another reason to apply insect repellent and obsessively check for ticks this spring and summer: the population of a new, potentially dangerous invasive pest known as the Asian long-horned tick has grown dramatically across the borough, according to Columbia University researchers. And the tick—which, unlike other local species, can clone itself in large numbers--is likely to continue its conquest in the months ahead. "The concern with this tick is that it could transmit human pathogens and make people sick," explains researcher Maria Diuk-Wasser, PhD, an Associate Professor in the Columbia University Department of Ecology, Evolution, and Environmental Biology, who studies ticks and human disease risk. In a new study, published in the April 2019 issue of Emerging Infectious Diseases, Dr. Diuk-Wasser and colleagues provide the most exhaustive local census of the new species to date--and suggest the Staten Island infestation is far more advanced than previously known. The open-access article (https://wwwnc.cdc.gov/eid/article/25/4/18-1541_article) is titled “Distribution, Host-Seeking Phenology, and Host and Habitat Associations of Haemaphysalis longicornis Ticks, Staten Island, New York, USA.” The researchers found the species Haemaphysalis longicornis in 7 of 13 parks surveyed in 2017 and in 16 of 32 parks surveyed in 2018. In one park, the density of the ticks per 1,000 square meters rose almost 1,698 percent between 2017 and 2018, with the number of ticks picked up in the sample area rising from 85 to 1,529. They also found the ticks on anesthetized deer from the area. This disturbing news comes less than a year after the New York City Department of Health announced the discovery of the first member of the species in the city--a single tick--found on southern Staten Island in August 2018. A 71-year-old Scottish woman (Jo Cameron) (photo) can feel virtually no pain due to a mutation in a previously-unidentified gene, according to a research paper co-led by researchuers at University College London (UCL). She also experiences very little anxiety and fear, and may have enhanced wound healing due to the mutation, which the researchers say could help guide new treatments for a range of conditions, they report in the British Journal of Anaesthesia. The open-access article is titled “Microdeletion in a FAAH Pseudogene Identified In A Patient With High Anandamide Concentrations And Pain Insensitivity.” “We found this woman has a particular genotype that reduces activity of a gene already considered to be a possible target for pain and anxiety treatments,” said one of the study’s lead researchers, Dr James Cox (UCL Medicine). “Now that we are uncovering how this newly-identified gene works, we hope to make further progress on new treatment targets.” At age 65, the woman sought treatment for an issue with her hip, which turned out to involve severe joint degeneration despite her experiencing no pain. At age 66, she underwent surgery on her hand, which is normally very painful, and yet she reported no pain after the surgery. Her pain insensitivity was diagnosed by Dr Devjit Srivastava, Consultant in Anaesthesia and Pain Medicine at an NHS hospital in the north of Scotland and co-lead author of the paper. The woman tells researchers she has never needed painkillers after surgery such as dental procedures. She was referred to pain geneticists at UCL and the University of Oxford, who conducted genetic analyses and found two notable mutations. One was a microdeletion in a pseudogene, previously only briefly annotated in medical literature, which the researchers have described for the first time and dubbed FAAH-OUT. Researchers of the Bellvitge Biomedical Research Institute (IDIBELL) in Barcelona, Spain, led by Dr. Montse Olivé, have described in Nature Communications a new muscular disease caused by a mutation in the myoglobin gene. The open-access article was published online on March 27, 2019, and is titled “Myoglobinopathy Is an Adult-Onset Autosomal Dominant Myopathy with Characteristic Sarcoplasmic Inclusions.” The study has been possible thanks to a collaboration with a group of geneticists from the University of Western Australia (UWA), led by Prof. Nigel Laing, and researchers from the Karolinska Institute (Stockholm, Sweden). Myoglobin (image), the protein that gives muscles their red color, has as its main function the transportation and intracellular storage of oxygen, acting as an oxygen reservoir when there are low levels (hypoxia) of oxygen or a total lack thereof (anoxia). It also acts as scavenger of free radicals and other reactive oxygen species, avoiding cell damage due to oxidative stress. "This is the first time that a disease caused by a mutation in the myoglobin gene has been identified", says Dr. Olivé, physician at the Bellvitge University Hospital, responsible for the muscular disease area and researcher of the Human Molecular Genetics group of the Genes, Disease, and Therapy at IDIBELL. "We have identified the same mutation in several members of six unrelated European families, all of whom had the same symptoms and showed very characteristic lesions - called sarcoplasmic bodies - in muscle biopsies," adds Dr. Olivé. Myoglobinopathy, the name that has been proposed for the new disease, manifests between the fourth and fifth decade of life. It causes a progressive weakness of the axial and limb muscles, and, in more advanced stages, affects the respiratory musculature and the heart. A synesthesia-like effect in which people “hear” silent flashes or movement, such as in popular “noisy GIFs” and memes, could be due to a reduction of inhibition of signals that travel between visual and auditory areas of the brain, according to a new study led by researchers at City, University of London. (Synesthesia is the production of a sense impression relating to one sense or part of the body by stimulation of another sense or part of the body.) The new study is the first to provide insight into the brain mechanisms underpinning such auditory sensations also known as a “visually-evoked auditory response” (also known as vEAR or “visual ear”). Whilst one theory is that areas of the brain responsible for visual and auditory processing normally compete, this research suggests that they may actually cooperate in people who report “visual ear.” It was also found that musicians taking part in the study were significantly more likely to report experiencing visual ear than non-musician participants. This could be because musical training may promote joint attention to both the sound of music and the sight of the coordinated movements of the conductor or other musicians. Dr Elliot Freeman, Principal Investigator on the study and a Senior Lecturer in Psychology at the University said: "We already knew that some people hear what they see. Car indicator lights, flashing neon shop signs, and people's movements as they walk may all trigger an auditory sensation. Our latest study reveals normally-occurring individual differences in how our senses of vision and hearing interact. We found that people with 'visual ears' can use both senses together to see and also 'hear' silent motion, while, for others, hearing is inhibited when watching such visual sequences." Anyone who trains for a marathon knows that individual running workouts add up over time to yield a big improvement in physical fitness. 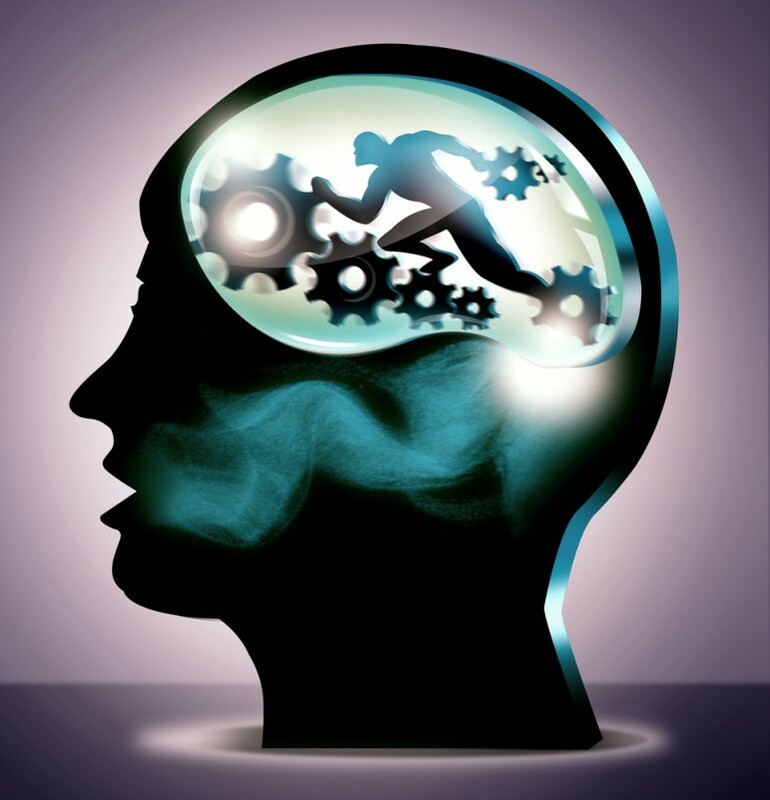 So, it should not be surprising that the cognitive benefits from workouts also accumulate to yield long-term cognitive gains. Yet, until now, there was has been little research to describe and support the underlying neurobiology. In new work being presented this week about the effects of exercise on the brain at the Cognitive Neuroscience Society (CNS) March 23-26, 2019 in San Francisco (https://www.cogneurosociety.org/annual-meeting/), researchers are finding that brain changes that occur after a single workout are predictive of what happens with sustained physical training over time. "There is a strong and direct link between physical activity and how your brain works," says Wendy Suzuki (http://www.cns.nyu.edu/corefaculty/Suzuki.php), PhD, Professor of Neural Science at New York University (NYU), who chaired a symposium on the topic at CNS . Titled "Imaging the Immediate and Long-Term Effects of Exercise in Humans" (https://www.cogneurosociety.org/mycns/?mtpage=invited_symposia#1) the symposium featured talks by Dr. Michelle Voss and Dr. Michelle Carlson, as well as by Dr. Michael Yassa and Dr. Emrah Duzel. More than 1,500 scientists attended the CNS annual meeting. Mutations in the NUP160 gene, which encodes one protein component of the nuclear pore complex nucleoporin 160 kD, are implicated in steroid-resistant nephrotic syndrome, an international team reports in an article published online on March 25, 2019 in the Journal of the American Society of Nephrology (JASN). Mutations in this gene have not been associated with steroid-resistant nephrotic syndrome previously. The JASN article is titled “Mutations in NUP160 Are Implicated in Steroid-Resistant Nephrotic Syndrome.” “Our findings indicate that NUP160 should be included in the gene panel used to diagnose steroid-resistant nephrotic syndrome to identify additional patients with homozygous or compound-heterozygous NUP160 mutations," says Zhe Han (photo), PhD, an Associate Professor in the Center for Genetic Medicine Research at Children's National in Washington, DC, and the study's senior author. The kidneys filter blood and ferry waste out of the body via urine. Nephrotic syndrome is a kidney disease caused by disruption of the glomerular filtration barrier, permitting a significant amount of protein to leak into the urine. While some types of nephrotic syndrome can be treated with steroids, the form of the disease that is triggered by genetic mutations does not respond to steroids. The patient covered in the JASN article had experienced persistently high levels of protein in the urine (proteinuria) from the time she was 7. By age 10, she was admitted to a Shanghai hospital and underwent her first renal biopsy, which showed some kidney damage. Three years later, she had a second renal biopsy showing more pronounced kidney disease. Treatment with the steroid prednisone; cyclophosphamide, a chemotherapy drug; and tripterygium wilfordii glycoside, a traditional therapy, all failed. A synthetic peptide (TNF-derived TIP peptide) appears to directly disrupt the destructive inflammation that occurs in nephritis, enabling the kidneys to better recover and maintain their important functions, investigators report. Whether they gave the TIP peptide body-wide or delivered it directly to the kidneys, it reduced the movement of immune cells into the kidneys, resolved inflammation and damage, and improved kidney function, without increasing blood pressure, the scientists reported in an article published online on March 20, 2019 in Kidney International. The article is titled “The TNF-Derived TIP Peptide Activates the Epithelial Sodium Channel and Ameliorates Experimental Nephrotoxic Serum Nephritis.” Serious infection or injury, and diseases like uncontrolled hypertension and diabetes, can cause acute or chronic nephritis, which affects both kidneys and the million filtering units in each. Particularly when nephritis is chronic, patients often wind up in kidney failure and on dialysis, which has basic scientists and physicians alike looking for better interventions. So, the investigators in this study gave the TIP peptide the same way it might one day be given to patients, within a few days of signs of kidney inflammation. The scientists found that, in an animal model of moderate nephritis, the administration of the TIP peptide allowed the animals to avoid hallmark problems like excessive inflammation and protein in the urine, a sign of kidney dysfunction, says Rudolf Lucas, PhD, a vasculate biologist who is an Associate Professor in the Vascular Biology Center at the Medical College of Georgia (MCG) at Augusta University, and senior author of the Kidney International article.